When we brought her home from the hospital almost 15 years ago, she fit in the palm of her daddy’s hand. 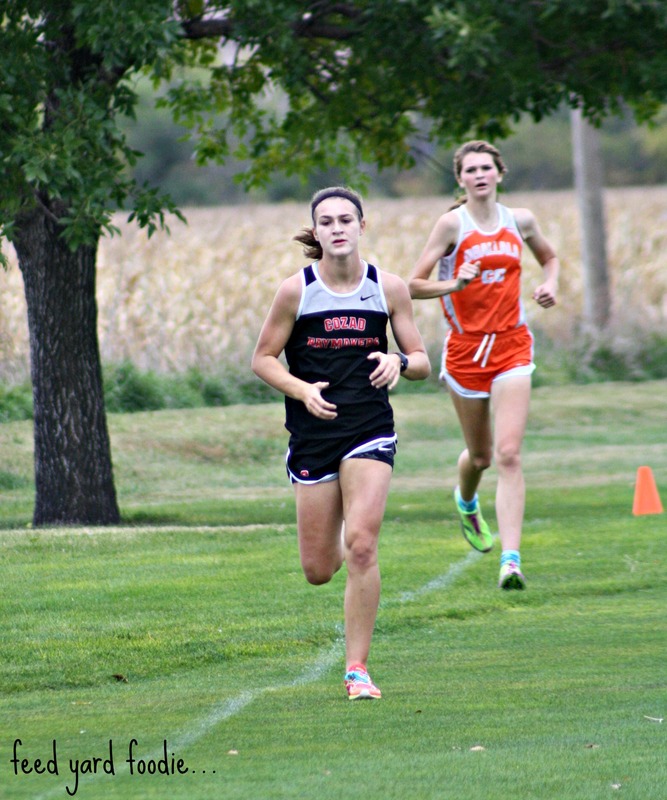 Today, she and her teammates compete at the Class C District Cross Country Championships. I am reminded that one of my greatest joys is sharing in the lives of my children: mentoring them, supporting them, and loving them on their journey. There is no greater gift. 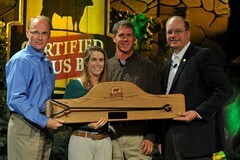 Healthy Cattle Make Healthy Beef! 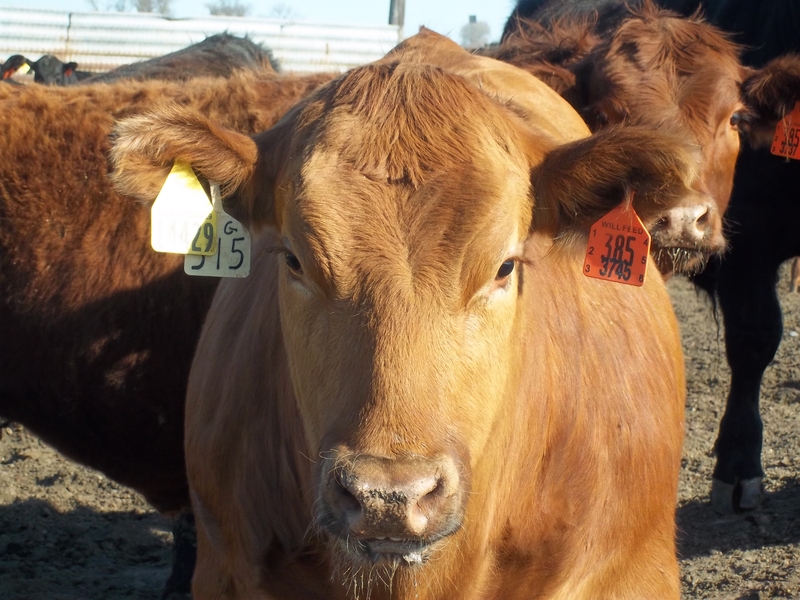 Early immune system development in cattle plays a crucial role in the life-long success of the animals. 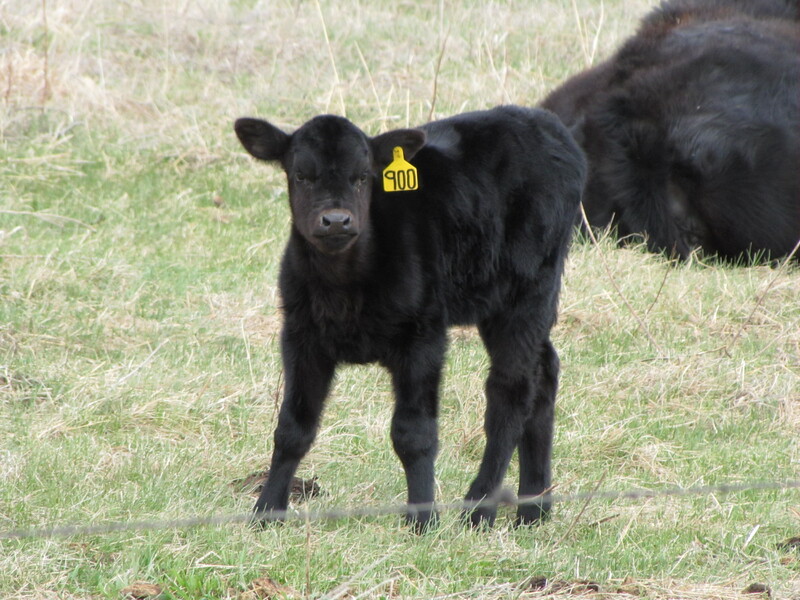 It is critical that Al provides his calves with everything that they need from the time of conception to ensure that they will be as healthy as possible throughout their entire life span. 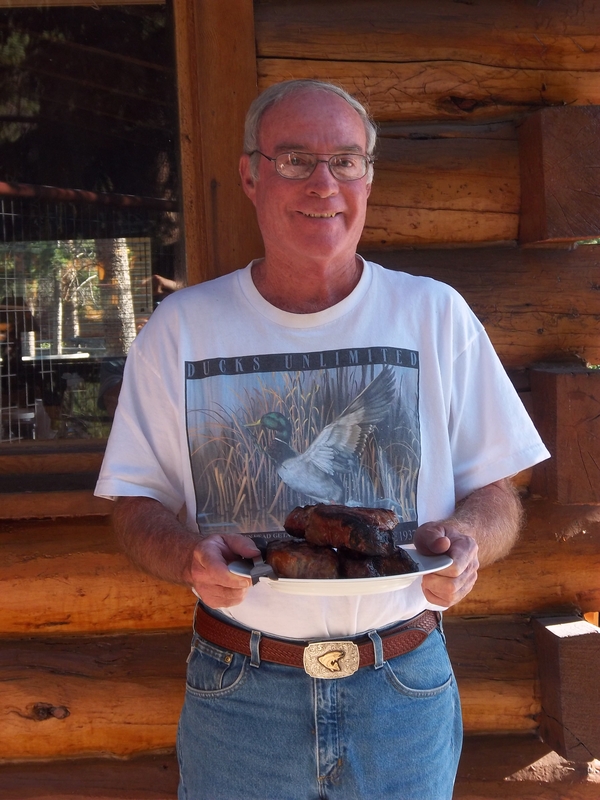 Al does several things “at the ranch” to ensure that his calves remain healthy—I continue to do these things when I receive the cattle “at the feed yard”—this ensures that the beef that our animals produce is safe and healthy to eat. Proper Nutrition—High quality feed that is balanced to provide the calf with the proper nutrition allows him to thrive. He begins nursing his mama’s milk—he then transitions to eating grass—he then transitions to eating a blend of forage (grass) and grain to give his beef the taste and tenderness that we all love. One of Calf #718's herd mates...with Mama resting close by. 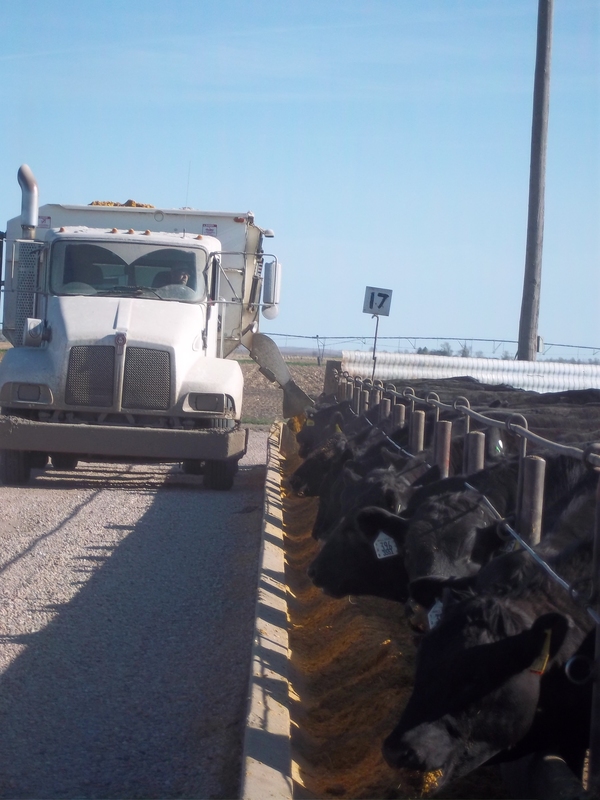 Proper Mineral Supply—Minerals to cattle are like vitamins to humans. 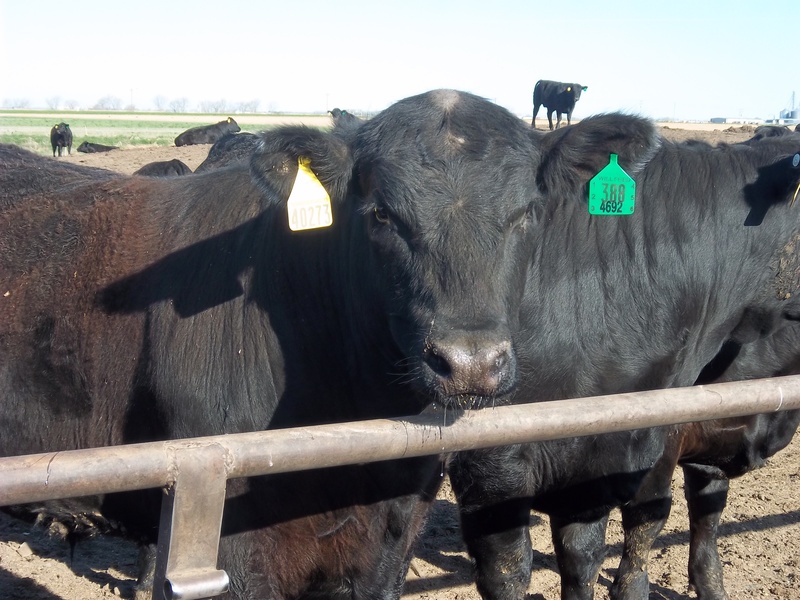 Providing the proper “trace minerals” to our cattle allows for good development and immune system maturity that is required for the calf to remain healthy and flourish. Proper Vaccination—I am a huge proponent of good vaccination protocols—it doesn’t matter if you are talking about animals or humans. Properly timed and administered vaccines stimulate the immune system and protect against disease. 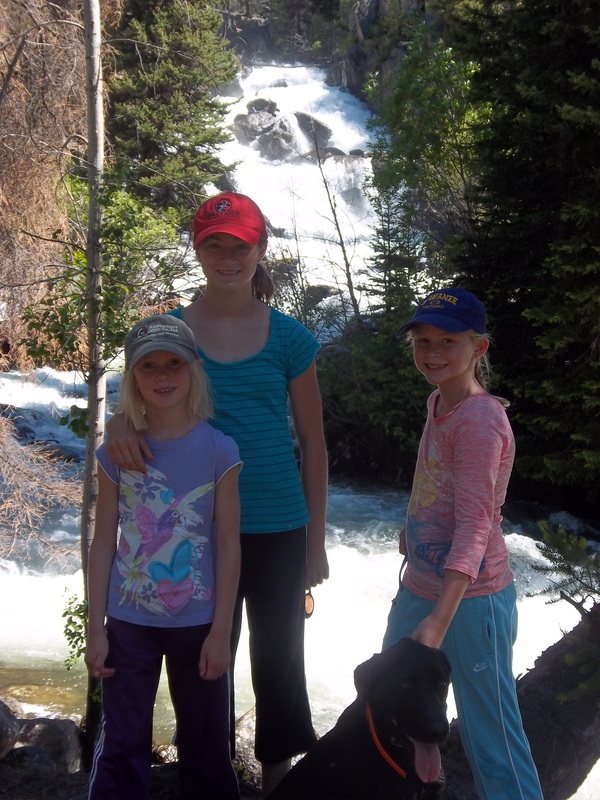 Just ask my girls how I feel about vaccinations—they will roll their eyes, remember the flu shot that they got last fall– and then give you an “ear full”! 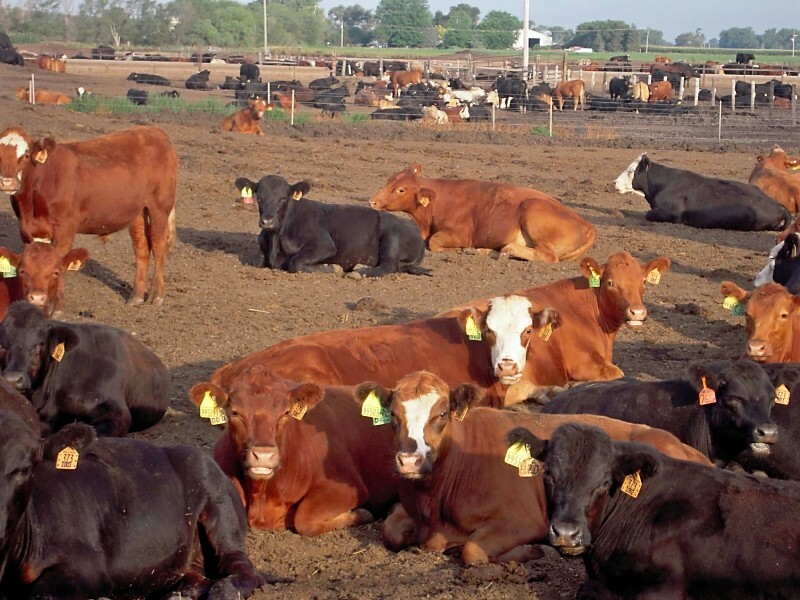 Proper Parasite Control—The reality is that when a bovine grazes on grass, he will come into contact with parasites. 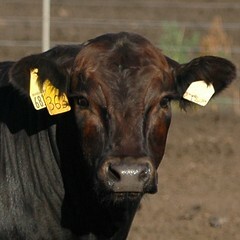 It is important for good digestive function for the calf to be “de-wormed” periodically to get rid of these parasites. Limiting Stress—We all know what stress does to us…elevated blood pressure, increased risk of illness, and overall decrease in good health. Well, a calf is really no different than a human when it comes to stress. One of the most important things that Al and I can do for our animals is to figure out ways to decrease or limit stress. Cattle resting quietly in the home pen---stress free! There are many days when I am positive that I have done a better job limiting the stress on my animals than I have limiting stress in my own life…We all work to achieve “balance” in our lives. Al and I also work hard to enable our animals to achieve balance. Every time I look at my children I am reminded of the importance of good quality animal care…High quality and wholesome beef is “What’s For Dinner” at my house. One of the perks of having a daughter who raises great tasting Nebraska beef! 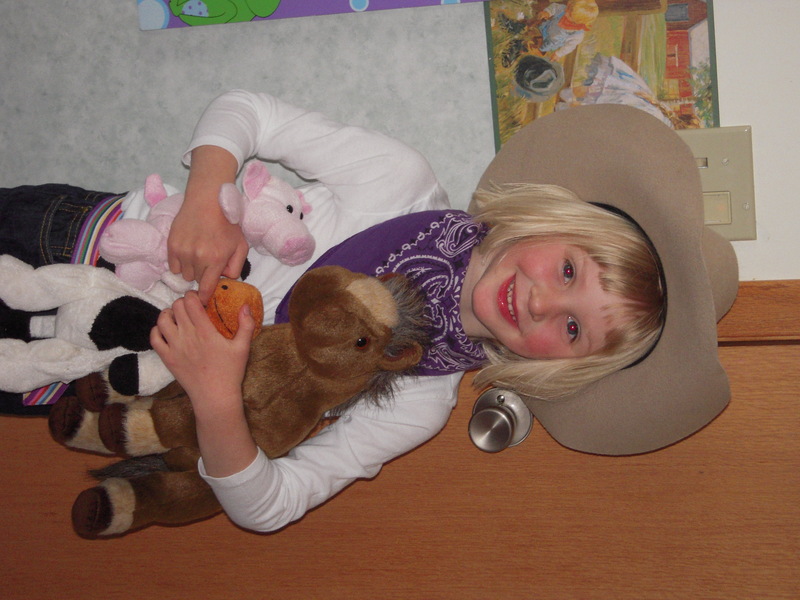 When my kids were little, they used to travel with me when I went to nearby ranches to purchase cattle for the feed yard. 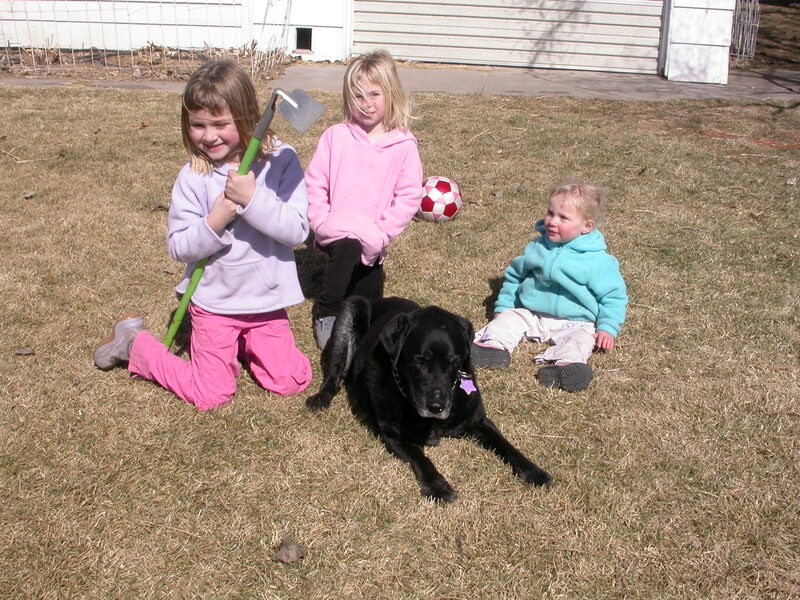 Looking back, it is hard to believe that my kids used to be this little! 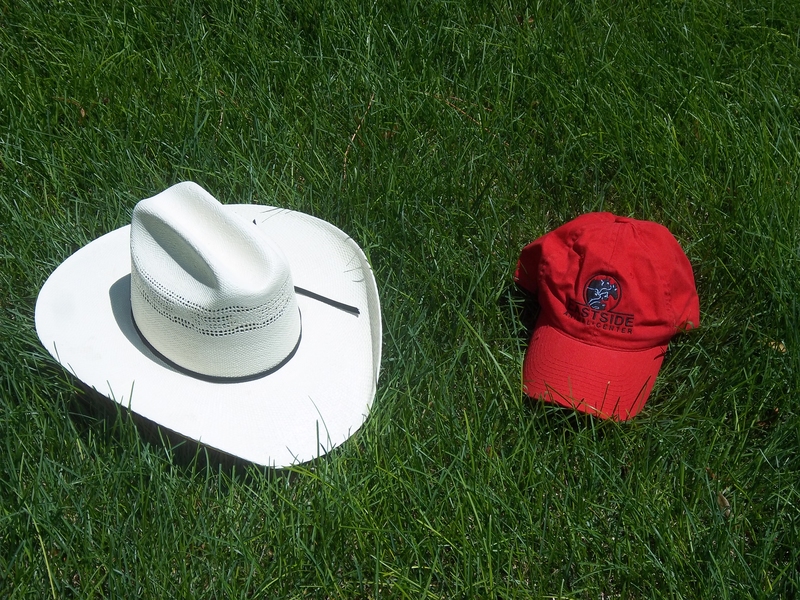 “You know, it’s not the hat that makes the cowboy”. So, what makes a real cowboy? Webster defines the word ‘cowboy’ as, “one who tends cattle or horses”. 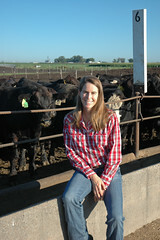 I define it as a responsible and knowledgeable caregiver for cattle. At the heart of any good cowboy is a love for both his animals and the land. He (or she) puts the needs of his animals before his own needs. I remember another time that I was up at Al’s place. 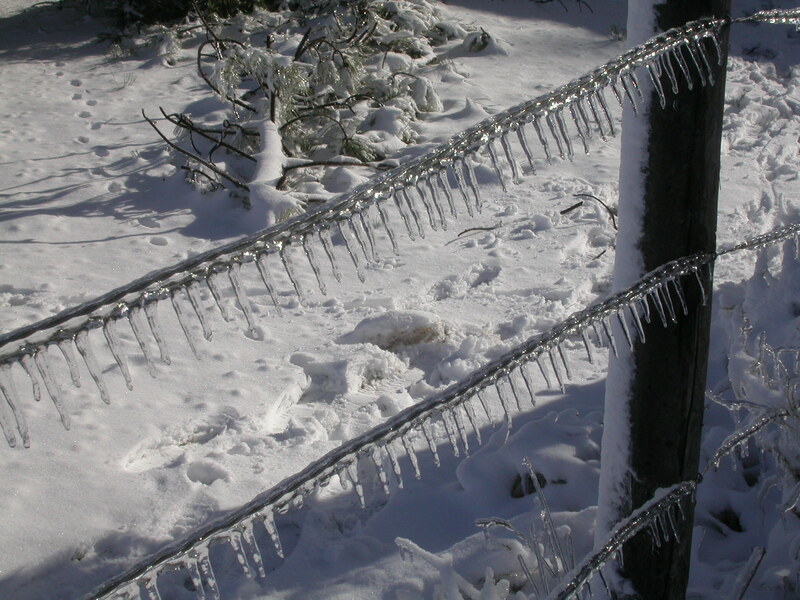 It was April and a spring snow storm had brought cold temperatures and bad weather conditions. Al was in the middle of “calving” which means that his mama cows were having their babies. The gestation period for a bovine (calf) is roughly the same as for a human, and a mama cow has a calf once per year. 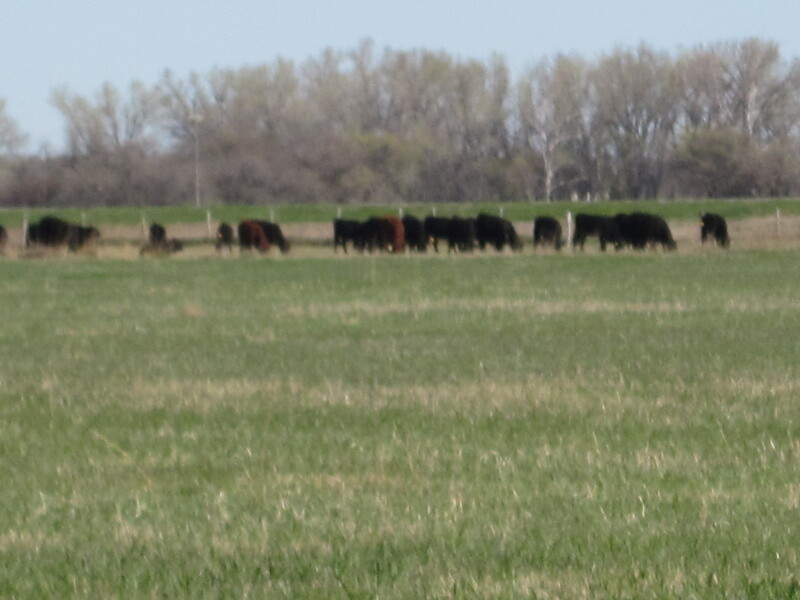 Most calves in Nebraska are born in the springtime as the grass greens up and winter goes away. Springtime in Nebraska is notorious for being inconsistent, and this particular year we had very cold temperatures and snow even though it was April. Al and his son-in-law were busy taking newly born calves into the “heat box” in the barn so that they would survive the weather. They worked diligently for several long days until the weather cleared up.